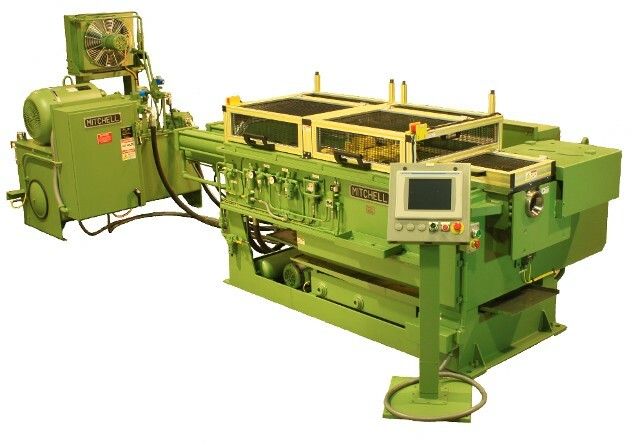 This hydraulic machine offers the latest state-of-the-art process for cold forming the ends of Boiler Tubes. The unit is designed to maintain a close tolerance on both the outer diameter (O.D.) and wall thickness. Forming is accomplished by using a mandrel to control the tube inner diameter (I.D.) and one or two dies, depending on the reduction required, to control the O.D. Boiler Tubes require reduced ends with a tolerance on the maximum wall thickness. Inverse Mandrel Drawing has eliminated the need for I.D. boring.